And why are there turtles everywhere? CLARE MUIREANN MURPHY can’t help but make friends with her audiences… it’s just the way she is. Born in Dublin, Clare has lived in Spain, America and Galway, and currently resides in Bristol. She has performed around the world from Brazil to Oslo. She has frequented great stages such as The Globe Theatre, The National Theatre and Soho Theatre in London, as well as touring once a year around the US. 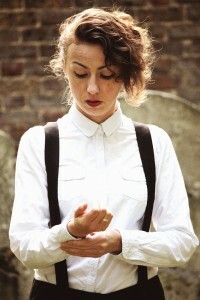 Clare is a deftly physical performer, playing with her typical wit and verve in the space between audience and story.